October is here, and while September was a great month weather wise, it is set to change this weekend and everyone is now thinking of autumn and getting cosy! I do feel a little like summer has passed me by this year with the arrival of Ruby. We spent one of the hottest weeks of the year cooped up in a hospital room and were desperately wishing for cooler weather, and since being home, while it's been nice going for walks with the pram, I've generally been too worried about Ruby getting the sun on her or her getting too hot! We are spending quite a lot of time at home with her, so I am actually fine with the idea of autumn arriving and just curling up with my little family in front of a good film. And of course for that cosy atmosphere, candles are a must, so it was lovely to receive this gorgeous one from Rewined Candles recently. The South Carolina based company make the candles from recycled wine & champagne bottles. The soy candles scent mimics the tasting notes of wine - yum! The one I received was Champagne scent and smells delish. I'm really loving the design on the candles too, what do you think? If you like the look of this, then listen up! Rewined Candles are giving one Patchwork Harmony reader the chance to win a candle, and you can even choose the scent you would like! To enter just visit their online shop and then leave a comment on this post saying which scent takes your fancy. 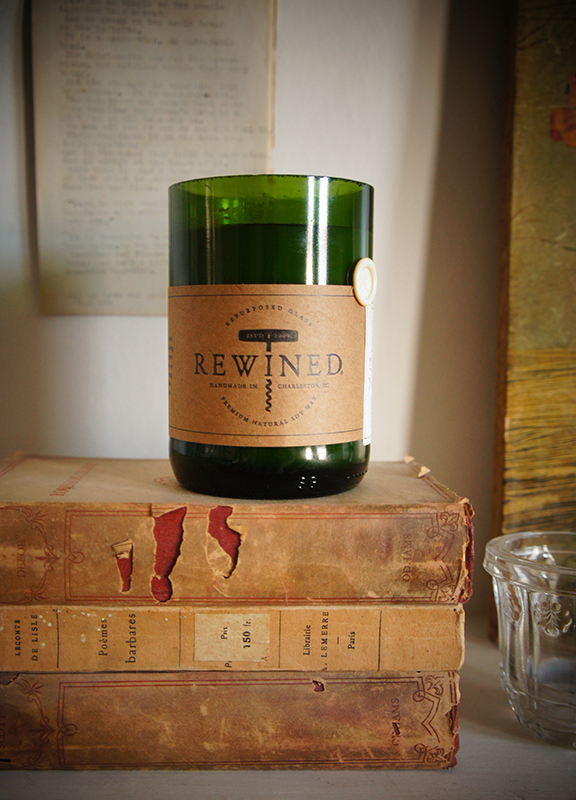 You can get an extra entry by tweeting: "I've entered to win a @rewinedcandles candle via @patchworkhrmy www.patchworkharmony.co.uk/blog/2014/9/2/win-a-rewind-candle "
Closing Date is 10th October 2014. Open to UK and international entrants. Winner will be selected at random and you will be notified by email. Make sure you leave a contact email address so you can be contacted if you win.